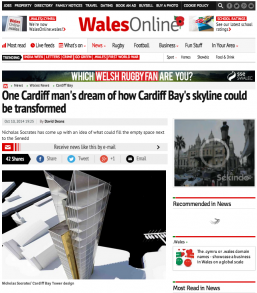 This is one urban designer’s dream of how the skyline in Cardiff Bay could be transformed – with a tower some 20 storeys high. Cardiff Architects Socrates Associates has come up with an idea of what could fill in the empty space next to the Senedd with his vision for a tower that would dominate the skyline. The plan envisages a mixed use building, with retail on the ground floor, commercial space on the lower half, and homes in the top half offering views over Cardiff Bay and Roath Basin. 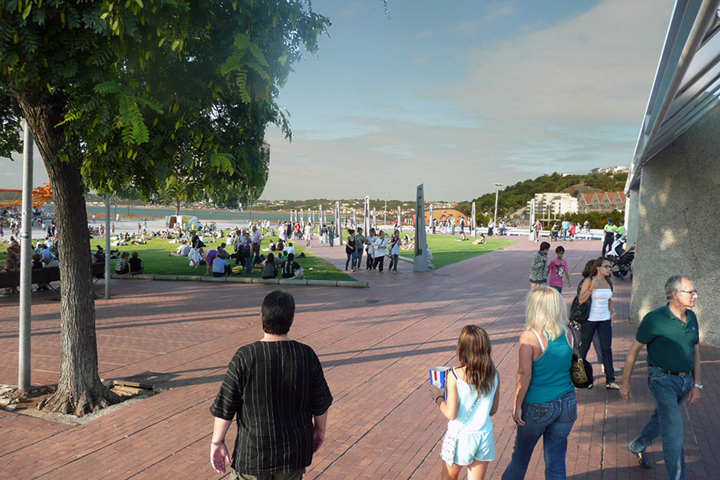 OVER the years the Waterfront has attracted a wide range of novel designs – some quirky, some daring, some unfeasible. But now a Jersey architect says he has found a possible solution to link the Esplanade car park and the unused land over the road. 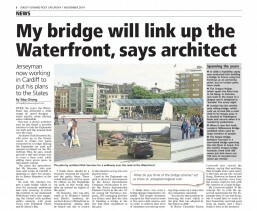 Architect Nick Socrates (30), who grew up in the Island, wants to create two parks connected by a bridge linking the Esplanade car park and unused scrubland on the Waterfront. This, he says, would provide a safe and scenic way to cross a busy road, while adding more green space in the Island’s capital. 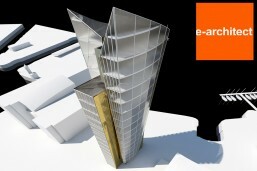 Socrates Associates’ Cardiff Bay tower proposal situated on a small parcel of undeveloped land next to the Richard Rogers’ Welsh Assembly ‘Senedd’ building in Cardiff Bay. The tower is mixed-use – retail on the ground floor, commercial for the lower half – where the floorplates are the largest, and residential for the top half offering unique dwellings with incredible views over Cardiff Bay, Roath Basin and Cardiff at large. Park Bridge Development for St Helier’s Waterfront; The park bridge is both a crossing and a place – A sloping park rises up, on both sides, to bridge the main esplanade road, connecting Jersey’s historic town to the new waterfront developments – increasingly an area in which people live – and also connecting to Jersey’s main pedestrian and cycle route to the West of the island.Current state of the masterplan developments; The original Developer has gone bankrupt. The money guaranteed has gone. Sinking of the road (£80m) is now very unlikely Future details of how the complete Masterplan will be rolled out and funded are not known. The timescale appears to have been moved from a maximum of 10 years to 25 years. Public money – £13 million is being loaned towards the underground car park. The commercial/retail effects on St. Helier are unknown. What is the demand for office space, retail, restaurants, etc. in the next 10/25 years? The current situation is that offices will be built on the existing car-park ‘Esplanade Quarter’ as a watered-down version of the masterplan. 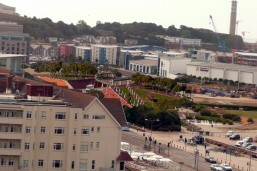 The tunnel will never be phased in and therefore the problem, of the Esplanade road dislocating the waterfront from St Helier, will remain.